If you’ve been following Riot Games as they’ve been teasing the upcoming League of Legends champion, Lissandra, the Ice Witch, it’s finally time for the reveal. Iceborn (Passive): After a brief cooldown, Lissandra’s next ability costs no mana. Hitting an enemy with movement impairing abilities reduces Iceborn’s cooldown. Ice Shard: Lissandra throws a spear of ice that shatters on contact with the first enemy struck, dealing damage and slowing their movement speed for a short duration. Enemies behind the struck target also take damage. Ring of Frost: Lissandra freezes the area around her, dealing damage to nearby enemies and rooting them for a short duration. Glacial Path: Lissandra casts a slow-moving, long-range ice claw in a line, dealing damage to all enemies in its path. Re-activating Glacial Path teleports Lissandra to the claw’s current location. On enemy cast: Lissandra freezes an enemy champion, damaging and stunning them briefly. Dark Ice emanates from the target, dealing damage and slowing nearby enemies. On self-cast: Lissandra encases herself in ice, rooting herself in place briefly and becoming untargetable and invulnerable. 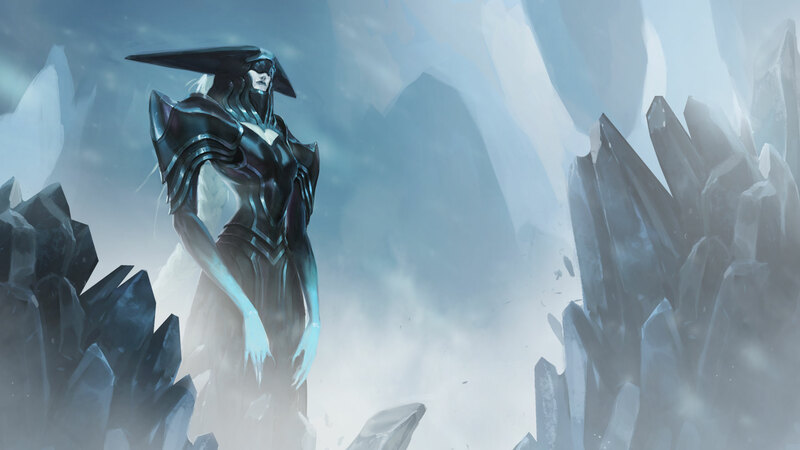 Dark Ice emanates from Lissandra, dealing damage and slowing nearby enemies. Riot currently imagines her as a potential mid or top lane champion, but we’ll see how she’s received when she releases to the public. If you want to read more about the latest League of Legends champion, Lissandra, check out the post on Riot’s website.